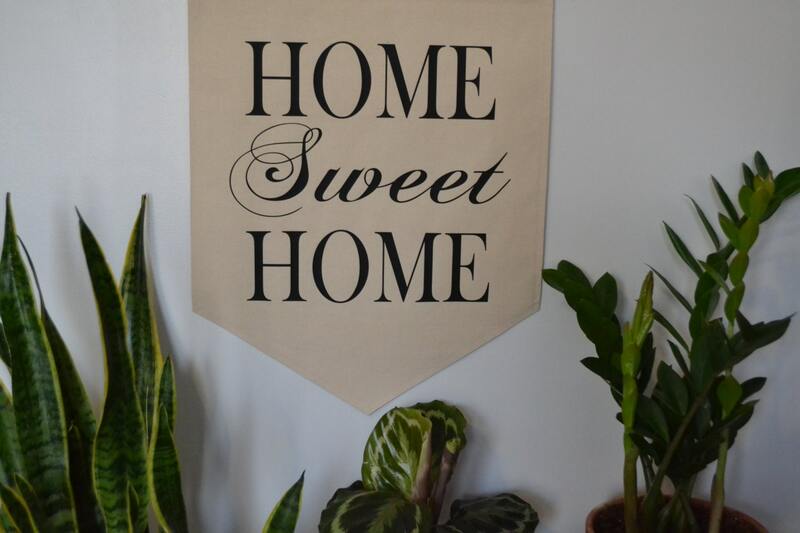 Handmade LARGE "Home Sweet Home" hanging wall banner. Made of natural unbleached drill fabric, with black heat pressed lettering. 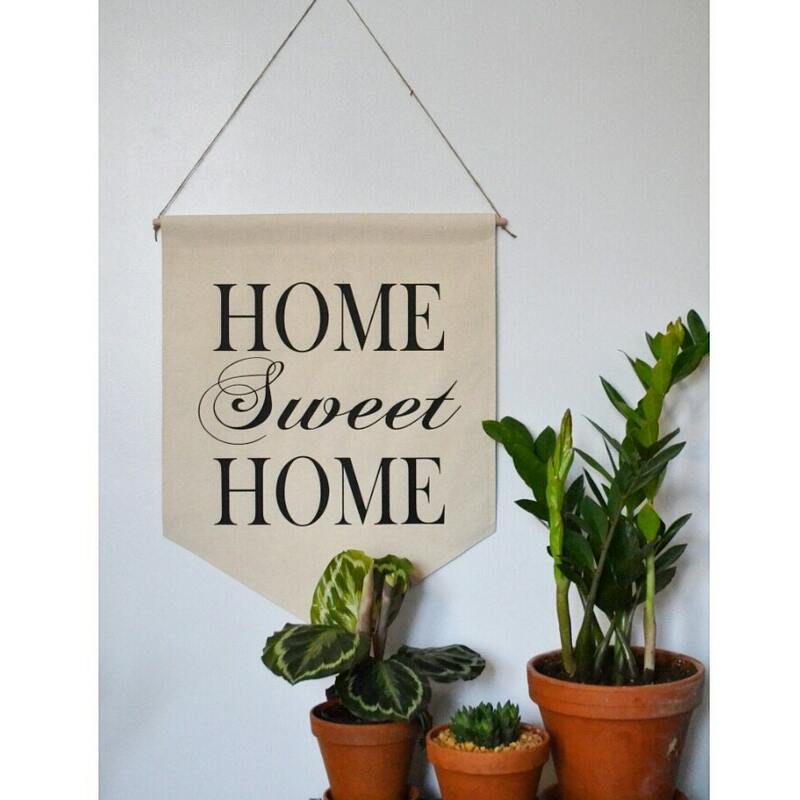 LARGE banners measure approximately 16 1/2" across x 21 1/2" long. CARE INSTRUCTIONS - Banners may be ironed to rid it of wrinkles. Place lettering face down and iron the back ONLY! 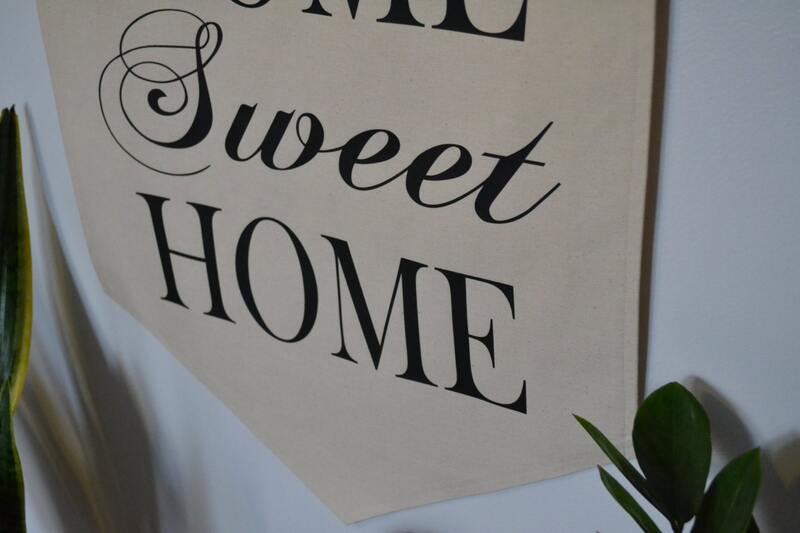 You may also lay the banner on a clean flat surface and lay a heavy flat item on top. To shorten string, pull down on one of the ends and tie a double knot at the desired length. Cut excess string.